External Affairs Alert – Is Retail in Trouble, or just Re-Aligning? What are the broad implications here? Is the retail platform simply in the midst of a realignment from department stores and malls to a different set of niche retail sectors? What do you see as driving it? 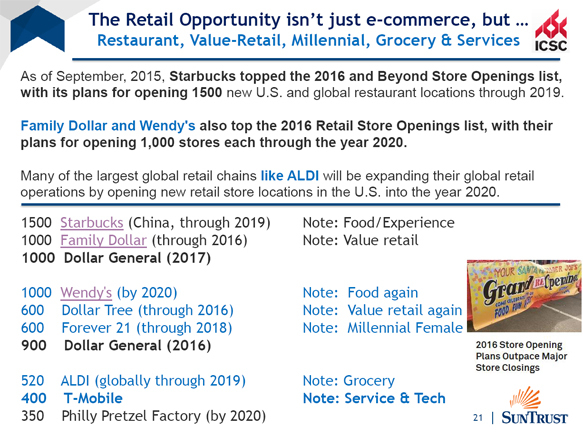 What are the implications for retail and real estate going forward? Members, please reply to info@cre.org to let us know your thoughts.